Sheri George has been a real estate agent since 1999. She specializes in luxury homes and working with first-time homebuyers. 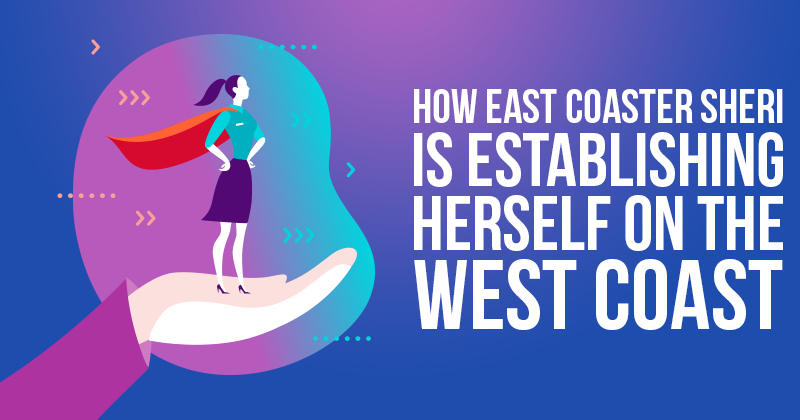 She recently moved from the east to west coast and is now working on rebranding herself. Biggest benefit of using the books: "What I love about the books is the fact that it takes so much of me having to explain everything off the table. I just simply hand over the book. And my prospects have read it, gone over it, and then come back and asked me questions about it. So it's been pretty amazing…When I use the book, it helps me be the authority in the marketplace. I have solidified my standing in the community, my area of expertise when it comes to marketing a home or helping someone purchase a new home. It's just a good foundation." She has also found that the books have helped her garner repeat clients and referrals, including one who has started investing and got most of her information from books Sheri gave her. Here’s how Sheri gets her listings. #1. Sheri reaches out to buyers, especially first-time home buyers, and old expired homeowners. #2. She sends postcards, handwritten notes, and gives away books. #3. She uses Smart Agents blog posts to help market herself. She promotes them on social media and will soon have a new website where she can feature the posts, as well. #4. Clients (or potential clients) read the books, which answer many of their questions. This means Sheri spends less time explaining things and more time on other productive tasks, including looking for more clients. Listen to the Interview Audios below for more details on exactly how she does it. Here is a transcript of the interview with Katie and Sheri. Smart Agents: OK, can you hear me? Smart Agents: OK, great. So Sheri how long have you been a Realtor? Smart Agents: OK, and do you have anything you specialize in? Sheri: I specialize in luxury homes and first-time home buyers. Smart Agents: And how long have you been using our books? Smart Agents: Wow. And do you know how many you've given away? Sheri: Recently, I made a big move. I moved from North Carolina back to California. So I've just started using my book all over again to start rebranding myself. Smart Agents: Gotcha. Do you know overall then how many listings you've gotten from the books? Sheri: They have helped tremendously. And over the past, it's probably been about 20 homes. Sheri: And what I love about the books is the fact that it takes so much of me having to explain everything off the table. I just simply hand over the book. And my prospects have read it, gone over it, and then come back and ask me questions about it. So it's been pretty amazing. Smart Agents: So you find that they really do read it then? Sheri: They really do read it. Smart Agents: Great ... What's your process for giving away the books? Sheri: Well, since I've been here in California, my process here is working expired listings, and the very old expired listings. Just like it's recommended in, on the training video, so it's Smart Agents. Sheri: Right now, I'm working on expireds and first-time home buyers. Sheri: I just recently put a contract on a first-time home buyer that my meeting, I actually handed him over the first-time home buyers guide book. And it helped them answer their questions as well, what they needed to be doing. And after reading the book, they immediately went down and got the pre-approval letter from the lender, and it made the whole process so much easier. Smart Agents: Great ... So do you think that there have been any particular breakthroughs, or surprises with using the books? Sheri: The surprise is that it's so easy to use the book. I don't know what I did before I had them. Smart Agents: Well, so going along with that. What did you do, or what else do you do now as far as marketing? Sheri: I do postcards, and hand written notes, but primarily, I'm using my books for all of my marketing right now, and the blogs. Smart Agents: OK. So what do you feel is the biggest benefit of using the books? You said some things already. I'm just wondering if there is one that really jumps out at you? Sheri: I like how simplified the process of either selling a home, or buying a home, that it's step-by-step details laid out, black and white, and so easy to read, and anybody can follow it. Smart Agents: Great ... So let's see. Do you have any advice for agents who are struggling or who are maybe just starting out? Sheri: Be consistent, stick with one thing, and just keep at it. Whether it's concentrating on buyers, just choose and go. And follow up. Once you send out a book, it's not just sending out a book. Just sending a follow-up letter, and making a phone call afterwards to see if they've received the package in the mail — what they thought of it is my advice for anybody, really. Smart Agents: OK, great. So do you have anything you found that if people are wavering about working with you, is there anything that you've found works to really close the deal? Sheri: Well, when I use the book, it helps me be the authority in the marketplace. I have solidified my standing in the community, my area of expertise when it comes to marketing a home, or helping someone purchase a new home. It's just a good foundation. Smart Agents: So you found that, that really helps you move forward to seal the deal then? Smart Agents: OK. So do you think that, you said you've been using the books for four years now. So do you think overall it's increased you conversion rate? Smart Agents: OK. Do you have any idea by how much, just estimated? Smart Agents: OK ... I'm just curious. So what kind of feedback do you get from the book? Sheri: It's been really good. Smart Agents: Yeah. And let's see what else? ... Do you have any stories about, whether it's working with buyers or sellers that have stood out to you? That you could share? Sheri: Let's see. I had one client, back when I was in North Carolina that ended up purchasing four homes from me. And it turned into investing, and she learned most of her information from reading the books that I had out and would come back with questions on what would be a good buy, how she'd be able to book a property, or rent a property. So overall, it helps with repeat business. Sheri: I still help this lady today. And she's back east, and I'm now on the west coast. It's turned into referrals for me. Smart Agents: Oh great ... The gift that keeps on giving. Sheri: The simple investment has been well worth it. Smart Agents: Yeah, great. So with your blog, do you promote that at all? Sheri: Not as much as I should. I'm currently in the process of designing a website. So with my website, it's going to incorporate more of the blogs, and doing the Facebook and Instagram with getting blogs out. Smart Agents: OK. Gotcha ... OK, and so how long have you been in California then? Sheri: A year and a half. Smart Agents: OK. Do you think that the books are helping you then to really get your footing there? Sheri: It's starting to. I've only recently got back into the job. I've been here four months, so I'm just, I'm a newbie now. Smart Agents: Oh gotcha. OK.
Sheri: My first buyer that I worked with, it did help. Smart Agents: Great. OK. Well I think that's all the questions I have. Anything else that you feel I missed, or anything else you wanted to share? Sheri: No, everything's been wonderful. It's simple, easy — even customer service, if I've had a question or issue, support is — if they don't have the answer, they find it and get right back to you.